Rob Yong and Sami Kelopuro won big at Trickett's Room at partypoker. Trickett's Room at partypoker, aptly named after partypoker Ambassador Sam "SamTrickett" Trickett, was once again showcasing high-stakes $200/$400 pot-limit Omaha action. During the live stream, it was noted that the identity behind "swordfishAA" is Matt Kirk, who recently lost $4.7 million in nosebleed Omaha games during the Big Game a week prior. In addition to Trickett and Kirk, the line-up began with Jon "GhenaD" Ghenna and Rob "Rob_Yong_" Yong before "Big_Fish11" and Sami "LarsLuzak1" Kelopuro joined later. Kirk was struggling at the tables and helped boost his three initial opponents to six-figure stacks. "Big_Fish11" already had his stack over the six-figure mark and after the following hand had almost $180,000. The hand began with "Big_Fish11" opening the button to $1,400 before he called a three-bet to $3,800 from Kirk in the big blind. 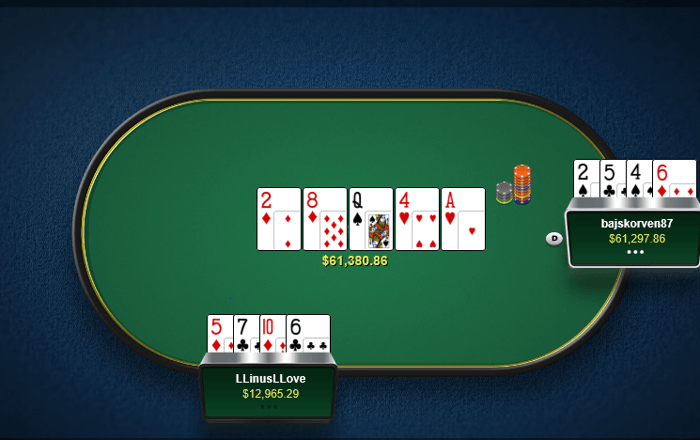 Kirk fired out a half-pot bet of $3,898 after the flop came and got a call from his opponent. The double-paired the board on the turn and Kirk checked before "Big_Fish11" bet $5,600. Kirk raised to $18,995 and called a three-bet from his opponent which committed the rest of his stack of $14,373. The completed the board on the river and "Big_Fish11" collected a massive pot of $82,326 when he outkicked Kirk with against . 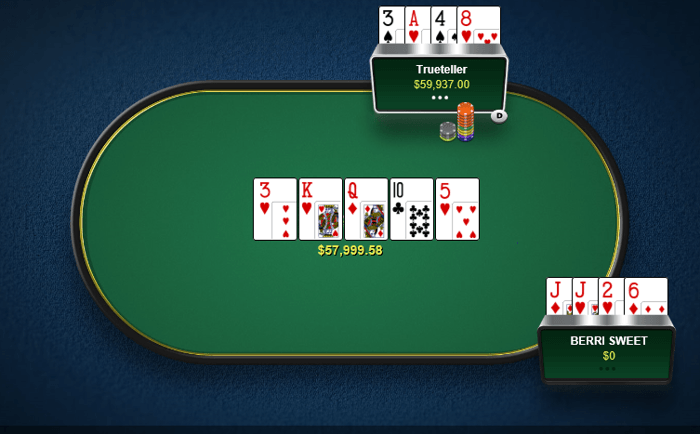 Shortly after the hand, "Big_Fish11" lost a big pot to Trickett before winning another off of Kirk and left the table with around $165,000. While Kirk was losing most of the session, there were moments where he was showing signs of a comeback. Yong and Trickett were able to amass stacks over $200,000. Kirk was able to temporarily join the six-figure club after the following hand. Kirk opened to $1,400 from the button and Yong called from the small blind. Trickett three-bet to $5,600 from the big blind and both his opponents called. Yong checked the flop and Trickett led out for $16,795. Kirk called and Yong got out of the way. Trickett then bet enough to cover the $33,196 remaining in Kirk's stack after the appeared on the turn. Kirk called and the completed the board on the river. Kirk collected a huge pot of $116,778 holding for a full house which was enough to beat the two pair Trickett held with . After Kirk's run, he proceeded to lose his stack over a series of hands, mostly to Yong and Kelopuro who had recently joined the table. Before Kirk reloaded, Yong was able to win a hand from Trickett to watch his stack grow to nearly $300,000. The hand began with Trickett opening the button to $1,400 and Yong calling from the small blind. Kelopuro three-bet to $5,600 before Trickett and Yong called. All three players checked the flop and again after the appeared on the turn. It appeared the action might stay quiet after the completing the board on the river with both Yong and Kelopuro checking. Trickett then bet $8,700 before Yong raised to $42,894. Kelopuro folded and Trickett used most of his time bank before he called. Yong scooped up the pot worth $102,584 with the nut flush holding and Trickett's hand went into the muck. Kirk reloaded one last time and was up and down small amounts with his final bullet of the session. Kelopuro eventually cleaned him out in a hand also involving Yong. The action began with Kelopuro opening to $1,400 from the cutoff before Kirk three-bet to $4,600 from the small blind. Yong cold-called from the big blind before Kelopuro four-bet to $18,400. Both players called, creating a massive $55,200 pot heading into the flop. Kirk jammed for $20,273 on the flop. Yong folded and Kelopuro called. The came on the turn and the completed the board on the river. Kelopuro shipped a pot worth $95,470 after his nut flush with bested Kirk's second-nut flush with . The trio played for another 10 minutes or so before the table broke. All three players walked away with six-digit stacks led by Yong with $247,058, followed by Kelopuro with $205,773 and Trickett with $100,764. The largest pot not involving a chop of the last two weeks witnessed Linus "LLinusLLove" Loeliger barrelling off against "bajskorven87" in $100/$200 pot-limit Omaha heads-up play on April 27. The action began with "bajskorven87" opening to $680 from the button. Loeliger three-bet from the big blind to $2,120 and his opponent called. Loeliger led out for $2,849 after the flop came and "bajskorven87" called. Loeliger fired a second bullet for $10,015 after the came on the turn and once again got a call. A third barrel was fired after the appeared on the river, effectively putting "bajskorven87" all-in after he called off his stack of $15,626. Loeliger was on a pure bluff holding and "bajskorven87" scooped a massive pot worth $61,300 after his baby two pair with was good enough. At almost the exact same time, Timofey "Trueteller" Kuznetsov and BERRI SWEET played in the second and third biggest unchopped pots of the past two weeks on May 6 at two different tables with each player winning one. The pot that Kuznetsov won was slightly bigger and began with him raising the button to $680. "BERRI SWEET" called and the flop came . "BERRI SWEET" checked before he called a bet from Kutnesov for $1,078. Kuznetsov fired out for $3,200 after the appeared on the turn after his opponent checked. This time, "BERRI SWEET" raised to $10,494 and Kuznetsov called. The completed the board on the river and "BERRI SWEET" jammed for $16,668 and Kuznetsov called. Kuznetsov scooped a huge pot of $57,919 with the nut-flush with after besting his opponent's lesser flush with "BERRI SWEET" holding . All was not lost for "BERRI SWEET" as at the same time of losing the second biggest unchopped pot he was able to win most of it back by winning the third. "BERRI SWEET" opened the button to $680 before calling a three-bet from Kuznetsov for $2,120. Kuznetsov opened for $4,317 after the flop came . 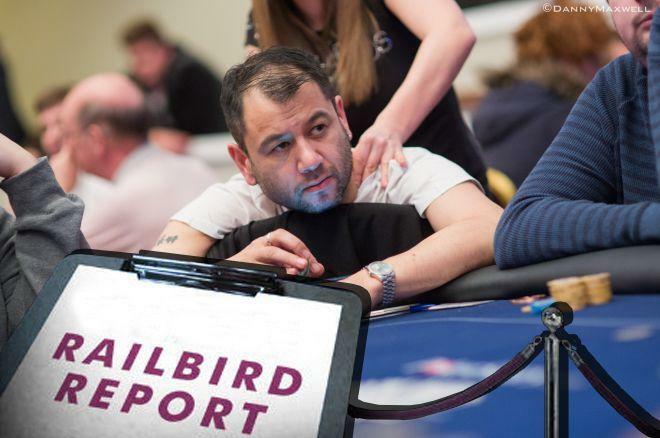 "BERRI SWEET" raised to $17,268 before he called a three-bet jam from Kutnetsov of $25,570, which he had covered. "BERRI SWEET" held a more than 7:1 advantage to win the pot and the duo agreed to run it twice. Kuznetsov was unable to get lucky on either board. The on the turn and on the river gave his opponent quads and the on the turn and on the river also didn't help Kuznetsov to give "BERRI SWEET" a huge scooped pot of $55,459. Linus "LLinusLLove" Loeliger had the second most profitable past two weeks to pad his buffer on the 2018 leaderboard. Ben "Sauce123" Sulsky was the most profitable player during that period to catapult into the top three in second place. "EEE27" slid down to third place after a losing week while James "JayP-AA" Park slid out of the top three. There was no movement in the bottom two spots of the leaderboard with "ImagineKing" widening the distance even further with a losing period. Viktor "Isildur1" Blom also lost during the period to solidify his spot at the second to bottom. Meanwhile, Elior "Crazy Elior" Sion managed to book a profit the past two weeks to slide out of the third to last spot and was replaced by Jonas "OtB_RedBaron" Mols.